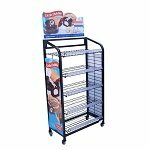 Introduce this 4-Way Merchandiser With Shelves into your business for a powerful visual impact. 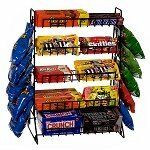 Load up these shelves with the best of your products or the new items you want to get maximum exposure to your customers. 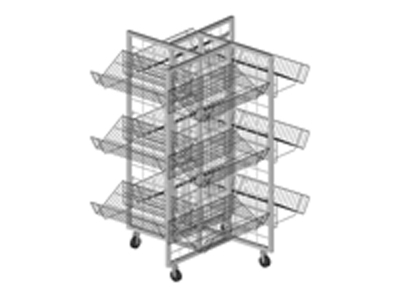 The wire gondola brings lots of merchandise space while being easy to move with included casters. Choose from the color options and order today! 2 heavy duty locking casters and 2 non-locking casters. 57" high x 36" square (24" wide panels).